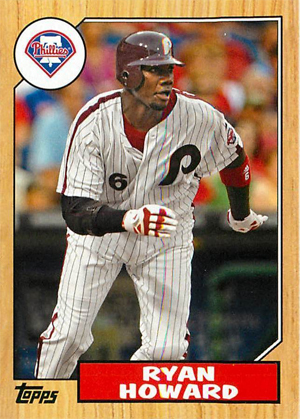 PBR - Following Thursday night's loss in New York, general manager Ruben Amaro Jr. announced Ryan Howard will rejoin the Phillies on Friday. Howard, who tore his Achilles tendon last October, will undergo a final checkup at Citizens Bank Park on Friday afternoon. If all goes well, he'll be in the starting lineup against Atlanta. Howard finished his rehab assignment with a 2-for-3 showing at Lehigh Valley on Thursday night. In seven games (between Lakewood and Lehigh Valley), Howard hit .500 (10-for-20) with a home run and 10 RBIs. "He's been progressing pretty good," Amaro said before Thursday's game. "We'll see how he feels after tonight." The plan originally was to keep Howard on his rehab assignment through the All-Star break, but it appears Amaro and Co. may rather have Howard ease into his role and use the break as an opportunity to rest. "If he plays this weekend, it may not be the worst thing for him to get some time off," Amaro said. "You just don't know how he'll react and what kind of adrenaline there will be. We'll take it one day at a time with him."